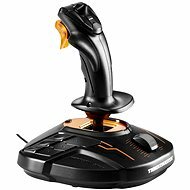 Thrustmaster T-Flight HOTAS X joystick with a detachable throttle control is perfectly suitable for any flight simulator. 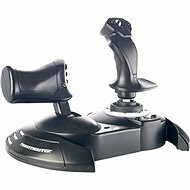 With its wide hand-rest and weighted base, the joystick provides maximum comfort and stability. It allows you to manoeuvre in all four directions. You can control the blinkers, elevation, and acceleration. There are 12 programmable buttons available together with 5 axles. 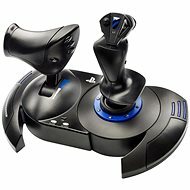 Microsoft Flight Simulator X for PC or IL-2 Sturmovik Birds of Prey for the PS3 are some of the configurations by default. You can also switch between profiles in real time using special buttons. Flying has never been easier. 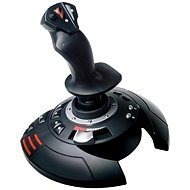 For shipping to other EU countries visit this page Thrustmaster T-Flight HOTAS X. Für Versand nach Deutschland, besuchen Sie bitte Thrustmaster T.Flight Hotas X. Chcete doručit zboží do Česka? 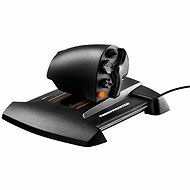 Prohlédněte si Thrustmaster T.Flight Hotas X. Chcete doručiť tovar na Slovensko? 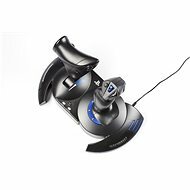 Prezrite si Thrustmaster T.Flight Hotas X. Für Versand nach Österreich, besuchen Sie bitte Thrustmaster T.Flight Hotas X. Magyarországra történő kiszállításért tekintse meg ezt a termékoldalt: Thrustmaster T.Flight Hotas X.